Lisa Bliss is the Assistant Director of CRESP III in the Department of Civil and Environmental Engineering at Vanderbilt University. Lisa interacts with CRESP university consortium members, departments, divisions and Principal Investigators regarding administrative, budgetary and compliance requirements. Lisa developed and maintains the CRESP Knowledge Management system to establish a record for the DOE CRESP III cooperative agreement in order to effectively communicate with the Department of Energy, primary DOE sites, key government agencies and other designated stakeholders. Lisa reviews annually the budget proposals for accuracy and completeness, and ensure compliance with DOE federal policies and regulations, as well as organize and triage proposals and reporting requirements in conjunction with the CRESP research team. 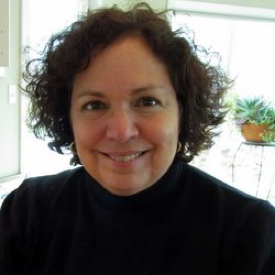 Lisa began her work with CRESP in 1999 at Rutgers University, and then moved to the Institute for Responsible Management (IRM) to work on CRESP II. Lisa directed the administrative and financial affairs of IRM, and developed and maintained all information services for IRM and the CRESP cooperative agreement.